Want to know what colors "in" forfall weddings in 2009? This year it's all about going bold. So if you have a fall fete planned and still haven't nailed down a color palette, here is a list of the trendiest colors for September-November. ~Green & Yellow: For your early fall affair, try a shade of green like dark sage, and pair it with a golden yellow. ~Plum & Violet: Monochromatic colors are always a great choice, and purples are definitely in this season. ~Chocolate & Ivory: This color combo is great for early or late fall weddings. ~Orange & Deep Pink: Talk about bold! This combo mimics the colors of fall flowers like dahlias. ~ Red & Mocha: Echo the colors of the changing leaves with a deep red, and it will look good with any shade of brown. ~Navy & Gold: This royal combo is perfect for an elegant night wedding. The big color for the season is definitely orange. Any shade, from tangerine to terra cotta. You can't go wrong pairing it with just about any color for fall! I love how you put the colors together online. It definitely gives an idea as to what goes great together and make show someone a color combination they wouldn't have otherwise considered. Thanks! Specialty cakes & sweets, made to order. Selections include wedding cakes, cupcakes, shaped cakes, cheesecakes, pies, and other delicious desserts. Below are other vendors that we have worked with and can depend on. Complete Alabama Wedding Ideas Website! Need Cakes & Bakers? Sugar on Top is the ultimate choice. 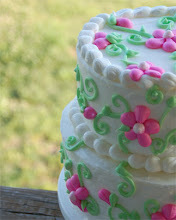 Visit Sugar on Top at OneWed.com & write a review of this wedding vendor & others. Keeping track of all your wedding is quick with OneWed's wedding checklist. Create, delete, and assign tasks from picking a caterer to matching your shoes.